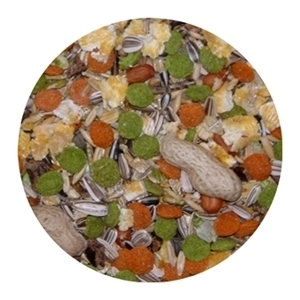 Ingredients: Alfalfa, Rabbit Pellets (Cereal), Rabbit Pellets (Alfalfa), Wheat Discs, Locust Beans, Flaked Beans, Flaked Maize, Flaked Peas, Soya Bean Oil, Whole Oats. 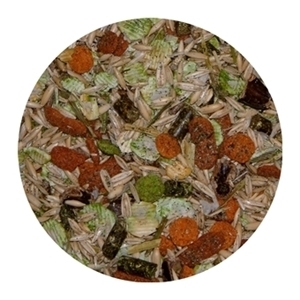 Ingredients: Rabbit Pellets (Cereal), Rabbit Pellets (Alfalfa), Locust Beans, Flaked Barley, Flaked Maize, Flaked Peas, Soya Bean Oil, Whole Oats, Whole Wheat. 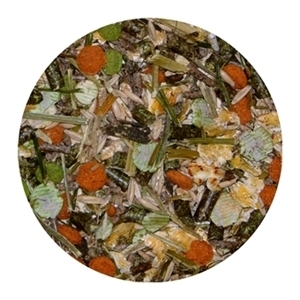 Ingredients: Alfalfa, Rabbit Pellets, Wheat Discs, Locust Beans, Flaked Peas, Orange Flakes, Whole Oats, Soya Bean Oil. 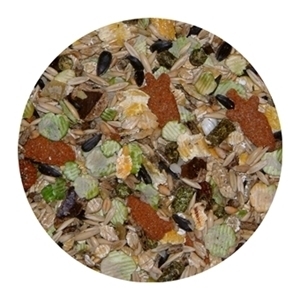 Ingredients: Wheat Discs, Rabbit Pellets, Flaked Barley, Flaked Maize, Locust Beans, Flaked Peas, Peanuts in Shells, Peanut Kernels, Soya Bean Oil, Medium Sunflower, Small Sunflower, Whole Maize, Whole Wheat.